If I were industrious (which I'm not), I would have researched how to have an effective sabbatical. And by "research" I mean "Google." Heck, there's probably a listicle or six out there, like: "Here are Six Life Hacks That Will Make Your Sabbatical So On Fleek." No really. We did this. When we moved in to this house ten years ago, one of the selling points was the awesome bomb shelter. There was even Cold War-era literature on surviving a nuclear blast, fallout shelters, and radiation poisoning. Until last year, it was just a damp, dark storage space. But last year, we had it fixed up and now it's a nice, little work space. I wear compression socks when I run now too... because the headline told me that is a good thing to do. Step 3: Make Room on the Book Shelf! The bomb shelter renovation included some book shelves. It's a good thing, because I'm going to be transporting hunks of my ridiculous library from my school office. Yep, I never know what I'll need. But I can't tell you how many times I have scanned a book on Google Books, even though I have it on the bookshelf behind me. Getting it off the shelf, I think to myself, might take effort. A word search on Google Books is much easier. I have been doing podcasts for a few years now, first for the Journal of Southern Religion and now for the Marginalia Review of Books. I enjoy it for the most part. I get to talk to smart people about interesting things. And reading always stokes and provokes my own scholarly interests. For example, my friend Brent Plate's work on the material of religion has helped me to rethink the relationship between sports and the objects that define it. Truth be told, it's the rare book that doesn't figure its way into my scholarly imagination in one way or another. But preparing for, and editing, podcasts is very, very time consuming. I estimate that a 20 minute podcast is EASILY worth three hours of editing--if not more. And then there's the preparation: reading, assembling a script, etc. Alas, I recently had to tell my Marginalia co-podcasters that I would have to step back from interviewing for a while. 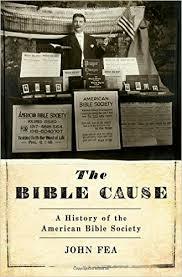 Although, I did just finish recording one with John Fea on his new book, The Bible Cause. And I am excited to be speaking to Julie Byrne later this month on her forthcoming book, The Other Catholics. But other than this, I don't have much on my schedule. Except that I'm traveling to give two talks in the fall. Oh, and there's the American Academy of Religion meeting. The Society for Values in Higher Education too. Did I mention that I'm going to Indianapolis in a couple weeks for a seminar at the NCAA? OK, I'm not doing so hot on this "trimming down on commitments" thing, am I? Step 5: Tell Your Kids That Even If It Sounds Like Daddy Is Watching Youtube Videos, He's Actually Doing "Research"
So there you have it, my own advice blog on preparing for a sabbatical. Make sure to use it well, and distribute it far and wide. This is my final warm-up post. On Monday, I will be carving time to write. I am still finishing the semester, but I need to start making good habits now. Oh, maybe that should be step 6!